Starting from the knowledge that Jesus gives us of himself by which we also come to know his Father in heaven and his alter ego, the Holy spirit. 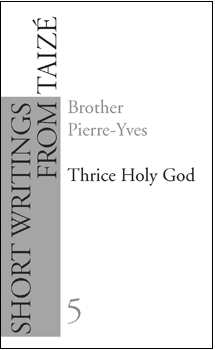 Discovering God as an essential exchange where each of the Three is constantly received from the two others and is ceaselessly given back to them. Thinking of God as a communion of love that cannot be viewed from without, and so to love God with ever greater admiration and gratefulness. Through our faith and our love God invites us to enter into this exchange and into this communion which he is at every moment and for all eternity. That is the intention of this booklet.